It’s lunch time. You want a delicious and filling meal that’s not too expensive. So what better place to go than your nearest mixed rice or nasi campur shop? 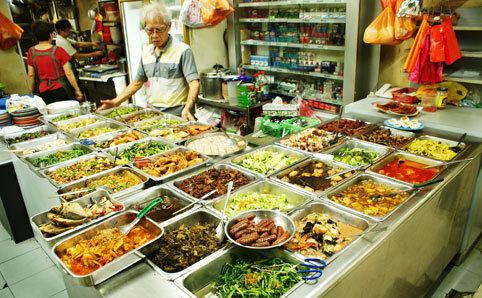 They usually have a wide selection of dishes, are pretty delicious, and usually cheap. 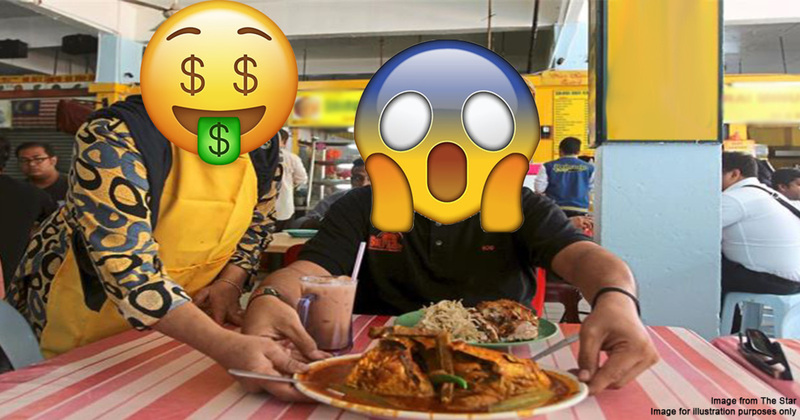 Usually, while there’s usually some sort of difference in pricing like the Uncle charging you RM 5 one day and RM 7 the next day for the same dishes, there have been reports of people being charged RM35 or even RM100 for their meals! So is there some secret system that they use to calculate the price of our food, and wouldn’t it be better if they just displayed the prices to begin with? You might be surprised to learn that mixed rice sellers who don’t put up their prices are breaking the law every day. When costs rise and start burning holes in our wallets, food is one of of the first things to get expensive - one of the reasons is apparently because some shops take the opportunity to hike prices up by ridiculous amounts. 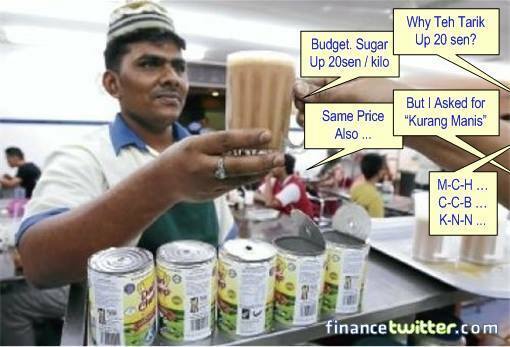 Sugar goes up by only 10 sen per kilogram, but a cup of teh tarik goes up by 20 sen instead?? This was why the government had to pass the Price Control and Anti-Profiteering Act 2011 (PCAPA), which makes it illegal to take an unreasonably high profit. 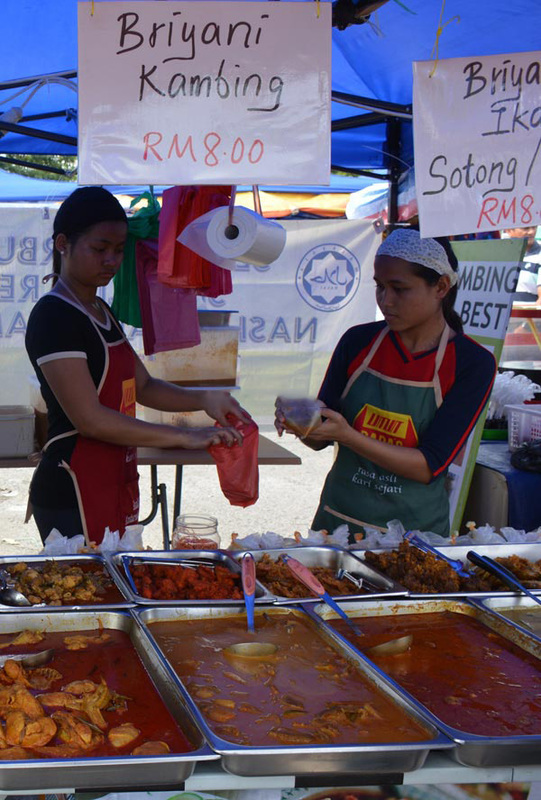 Food is one of the price-controlled items listed in the Price Control and Anti-Profiteering (Mechanism to Determine Unreasonably High Profit for Goods) Regulations 2016 - which is a regulation under the PCAPA. It’s compulsory for shopkeepers to display the prices for price-controlled goods under Section 9(1) of the PCAPA. 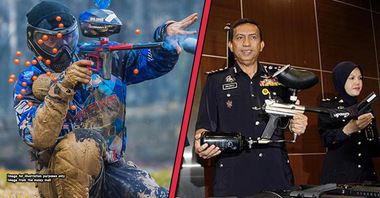 They must be put on display clearly for customers to see, and failing to do so can incur the penalty under Section 57 - up to RM50,000 in fines and/or up to 2 years of prison for individuals, and up to RM100,000 in fines for companies. 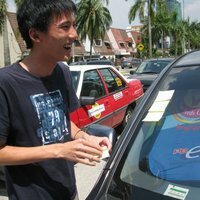 Repeat offences may get charged up to RM100,000 in fines and/or up to 5 years of prison for individuals, and up to RM250,000 for companies. The Price Control Order (Indication of Price by Retailer) 1993 also directs “retailers” to use price tags, which must be clearly visible to customers. We say “retailer” because there’s a specific meaning for this law, which includes sundry shops, wet markets, hypermarkets, mini marts, and even kiosks. 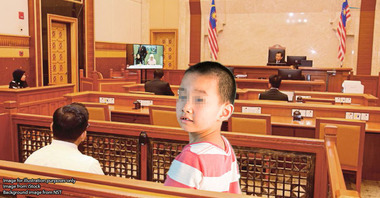 Offenders can be fined up to RM50,000 and could be jailed for up to 2 years if they’re individuals, and companies can get fined up to RM100,000. Now that we’ve covered the fact that prices must be displayed and realized that a lot of shopkeepers are breaking the law, there’s still the fact that food is a “price-controlled item”. Does this mean that mixed rice shops can’t charge above a certain price? The name is a bit misleading but the regulation works a bit like a “profit-control”. Under the Price Control and Anti-Profiteering (Mechanism to Determine Unreasonably High Profit for Goods) Regulations 2016, food and beverages, household items, and personal care products are all price-controlled. There’s a list of examples at the linked site, but what this means is that traders can’t make an excessive profit on those items. There’s no specified profit limit in the regulation, but it keeps traders from charging you an extra 50 cents on one piece of bread even when flour only went up by 20 cents per kilo. The regulation uses a method of calculation that is beyond our scope to fully explain, but basically they calculate the percentage of profit on an item at the beginning of a year. Traders are not allowed to exceed this profit percentage for the rest of the year. So if their costs increase, they can increase prices, but it has to comply with the profit limit set for that year. Can I insist on not paying if I get overcharged? In contract law, a lot of things depend on exactly what happened and how it happened, so it’s often difficult to get a straightforward answer - which is also why your lawyers say “it depends” a lot. 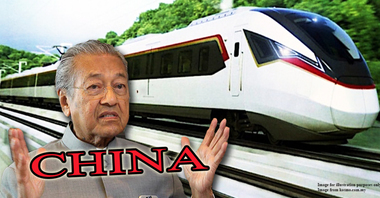 But as a general rule, when two people want to form a contract, like to trade Ringgit for food, there must be something between them called consensus ad idem. In plain speak, this means that they agree upon the same thing, with the same understanding (Section 13 of the Contracts Act 1950). As an example, say you want to buy “one rice” thinking that you’ll get one kilo, but the shopkeeper hands you one bag instead. You agreed to buy rice, but you didn’t understand each other in the same way. So when you buy mixed rice, you have not agreed on any price, so it could be argued that there is no contract - and you can either negotiate or walk away if you don’t like the price you get. But what if they only charge me after I’ve eaten? When getting nasi kandar, we sometimes only get quoted a price after we’ve taken the food and started eating. In this scenario, it’s hard to walk away since you’re already eating. But even in this case, you have a way out. So unless you agree to pay, subsection (2) allows you to refuse to pay more than the reasonable price (but you don’t get any other option). As for how much is a “reasonable price”, subsection (4) says that it depends on the circumstances, unless the price is fixed by law. Even RM100 can be reasonable for nasi campur if the owner’s cost was also really high. In practice, it’s better to agree on a better price rather than drag it out to the consumers tribunal. It’s quite unlikely, but if you can’t resolve the matter and the shop refuses to let you leave, call the police. If you’ve been overcharged for nasi campur, you might be able to argue that the unreasonable price is an “unfair contract term”. It’s covered under Part IIIa of the Consumer Protection Act, and covers situations where the shop might be in a position to take advantage of you - like not telling you the prices beforehand, or only quoting you a ridiculous sum after you’ve finished eating. Where do you bring this issue? The Ministry of Domestic Trade, Co-operatives and Consumerism (KPDNKK). You can lodge your complaint in any of the following ways. 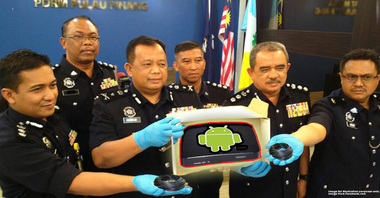 Make a report at any KPDNKK office nationwide. 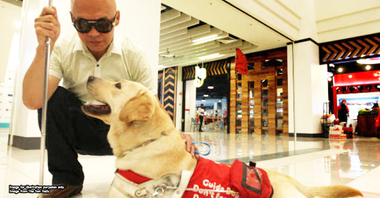 It’s great to know your consumer rights and how to exercise them. 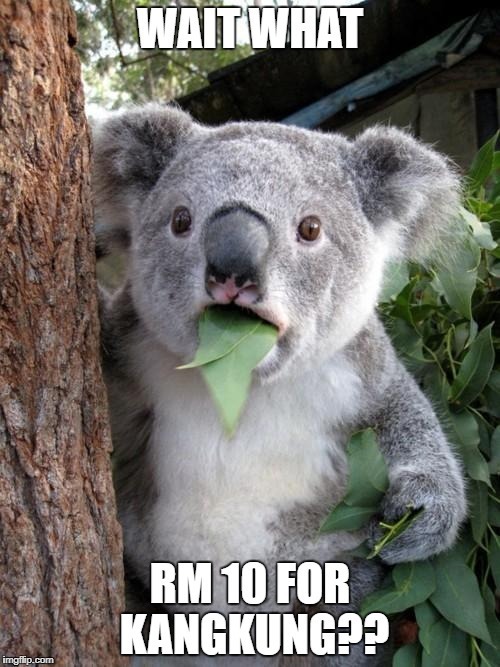 When it comes to food though, it’s probably not worth your time to sue someone over RM10, so you might want to just exercise your right to refuse to pay more than the reasonable price. One precaution you can take is to ask the price before you start eating, and if the shop tries to overcharge you, you’re not yet bound by a contract - so you can walk away.